One of our children’s most well loved literary characters of the modern day, Stick Man, has excitingly been brought to life by Magic Light Productions, the BAFTA award winning entertainment company behind the Gruffalo, in the form of a wonderful new children’s app available for for iPhone (4 and above), iPod touch (4 and above), iPad (2 and above) and iPad mini. 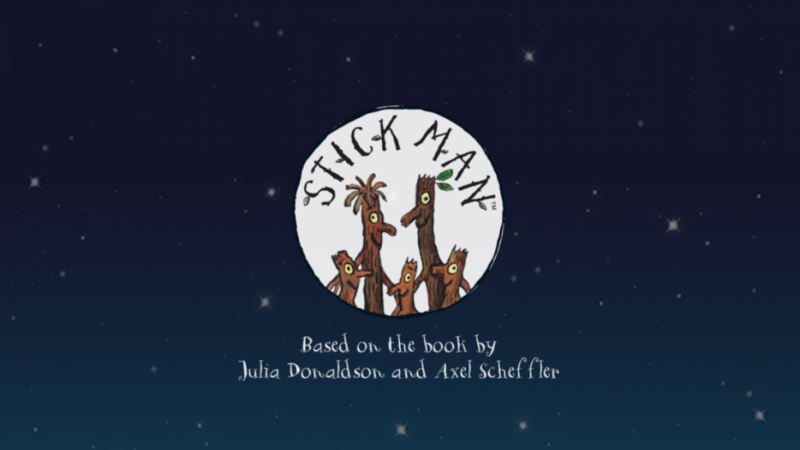 Based on the delightful children’s book Stick Man written by Julia Donaldson and illustrated by Axel Scheffler, the app coincides with Magic Light Pictures’ animated adaption of the book, which is going to premiere this Christmas on BBC One. The film is set to be a highlight of BBC One’s Christmas schedule and stars Hugh Bonneville, Rob Brydon, Martin Freeman, Sally Hawkins, Jennifer Saunders and Russell Tovey. 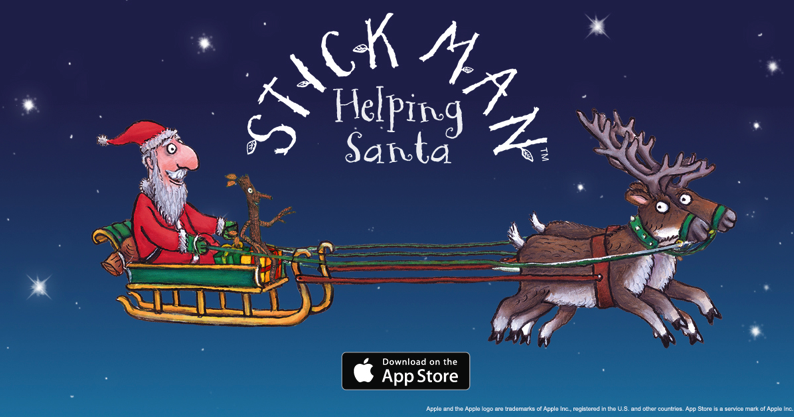 The loveable Stick Man, has now got his very own app. 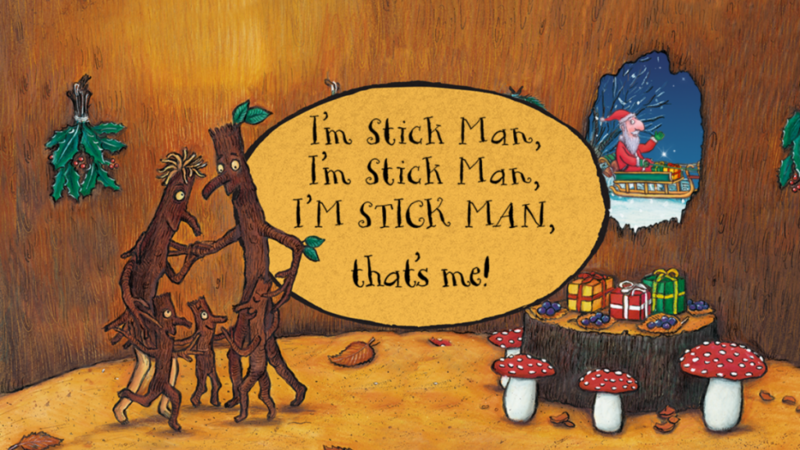 The story follows Stick Man, who when out for his regular jog, is picked up by a playful dog and launched on a series of unfortunate adventures which take him ever further away from home. The seasons pass, until Stick Man meets a surprising frend who might just be able to help him get back. But will he make it home in time for Christmas? Stick Man has been tasked with helping Father Christmas. Poor Santa is a very busy man indeed at this time of year, and so he’s asked our dear friend Stick Man, to help him ensure all the christmas presents are delivered to each of the houses correctly. So, obviously when we were asked if we’d like to review the wonderful new app designed for early age years children between 3 and 7 years old, Holly and I were very excited indeed. 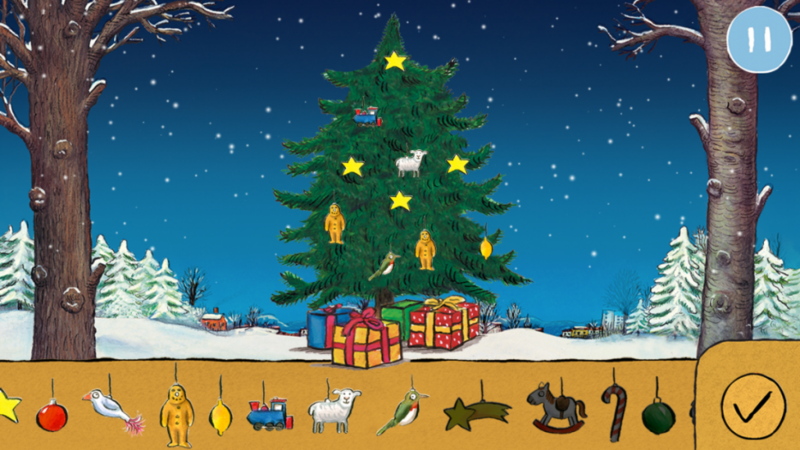 and unlocking decorations along the way to personalise their very own christmas tree – let their creative juices flow! It’s a fantastic app for kids with that extra little bit of Christmas magic and spirit, just in time to really put your little ones in the festive mood this year. I don’t really know what it is about kids. Their technical intuition astounds me. As I was trying to figure out a couple of the simple instructions, Holly had already logged onto the iPad, started up the app, sucessfuly played one round and had started decorating her christmas tree! The game takes place at night, against a beautifully twinkly blue night sky, with Stick Man riding alongside Santa. 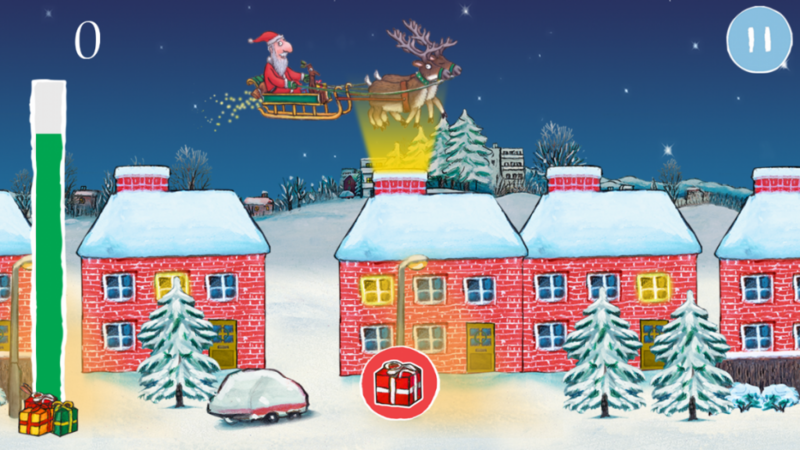 As the sleigh travels over the houses below, your child need to use judgement of accuracy and timing to click the present icon, which releases a gift from the sleigh, delivering it down the chimney and inside the house to a lucky little girl or boy. The game has three different experience levels as you progress. The first is the easiest with only one present colour to drop down every chimney, whereas the second and third introduce presents in two more colours, which need to be dropped down the respective coloured chimneys. The hand eye co-ordination involved makes it a brilliantly educational game for little hands and minds. Once you complete each level, the game then leads you through to a beautiful snow covered scene where a large christmas tree is just waiting to be decorated. The more levels you complete, the more decorations are available to use. I loved watching Holly as she played with this scene, as it was wonderful to watch as she decorated the tree so carefully and precisely. 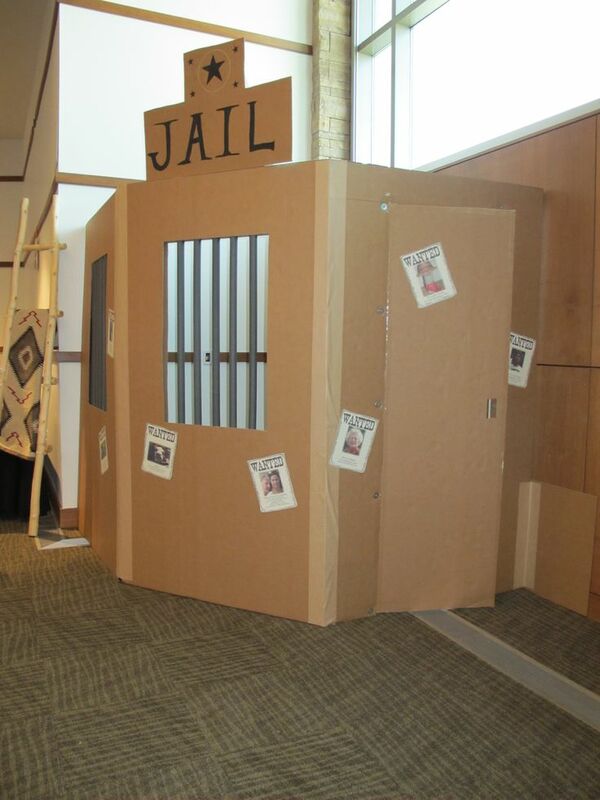 The games have been developed perfectly to assist in a chid’s learning and education. Selecting the correct coloured present is fantastic for colour recognition and quick thinking, aligning of the presents to fit perfectly down into each of the chimney stacks is brilliant for hand eye co-ordination, while trying to grab for the shooting stars along the way adds that extra element of difficulty to the task in hand. Then finally, let their creative juices flow as they decorate their tree. It was wonderful to watch as Holly then threw down the gauntlet to her daddy to play too! She was eagerly jumping up and down on the bed as he passed through the levels and flew quicker and quicker past the chimney stacks. She was shouting out the colours he had to pick at the top of her voice, getting more high pitched each time! She was so excited! I on the there hand, have never been very good at these games at all, I just go into panic mode and miss everything! Holly and Mikey were by far, better than me! So although it’s been designed as a game for one player, I enjoyed watching as Holly used her own initiative to transform it into a game for her entire family. Something she was so excited about which she wanted to share with us too. It really is a lovely little game for children, and perfectly timed with Christmas and to get them all the more excited about the magical tale debuting on Christmas Day. So why not try it out for yourself here or check out the Stick Man website here for a sneaky peak of the fabulous new trailer. 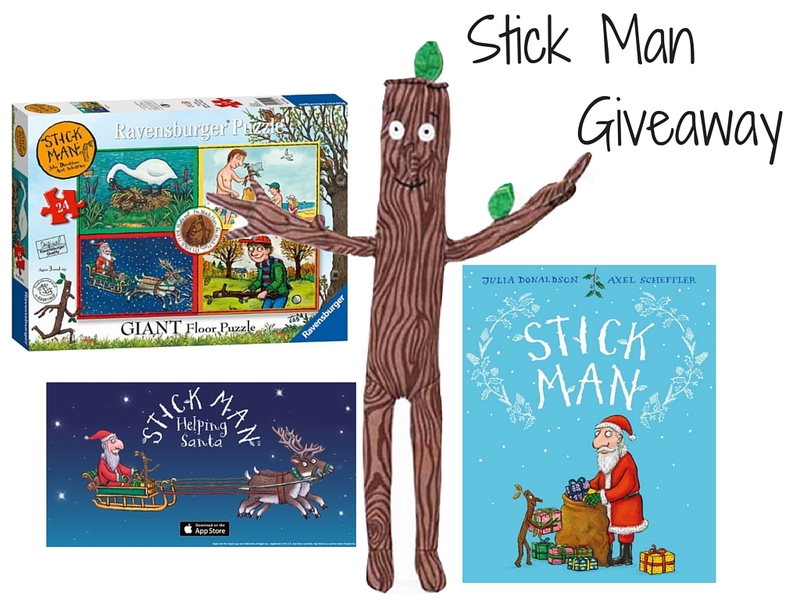 The competition will run for a short period of time only and will end on the 18th of December where I will then reveal the winner on Christmas Eve, just one day before the Stick Man film goes live on BBC One! So if you fancy your chance at winning this adorable little man, then you’d better be quick! How exciting! Unfortunately this is open to UK residents only. Disclosure: This has been a collaborative piece but all words and opinions are entirely my own. We got the Stick man out from the library and it has turned into M’s favourite book ever. SO many giggles. Oh yes, my kids are looking forward to it too! Oh yes, a definite treat. Yes I definitely will be! oh yes,we definitely will be. Without a doubt, my sons are big fans of room on the broom so i’m sure they will love this! We will, and we will be recording it too! yes. It will be great. I’ll at least be putting it on record, it’s one of the few books I’ve not yet read to my children. Definitely! We still have The Gruffalo, The Gruffalo’s Child and Room on the Broom on the box too!! Yes, I will be tuning in. I loved the Gruffalo and Room on a Broom so this is sure to be great too. Absolutely! The Gruffalo, Gruffalo’s Child and Room on the Broom animations are all firm favourites in this house already (along with the books, of course), so I’m sure this one will be added to the playlist!